Whether worn alone or with a Sport-Tek® wind shirt, these water-repellent pants provide lightweight protection. The relaxed styling and elastic drawcord waist ensure a comfortable fit. 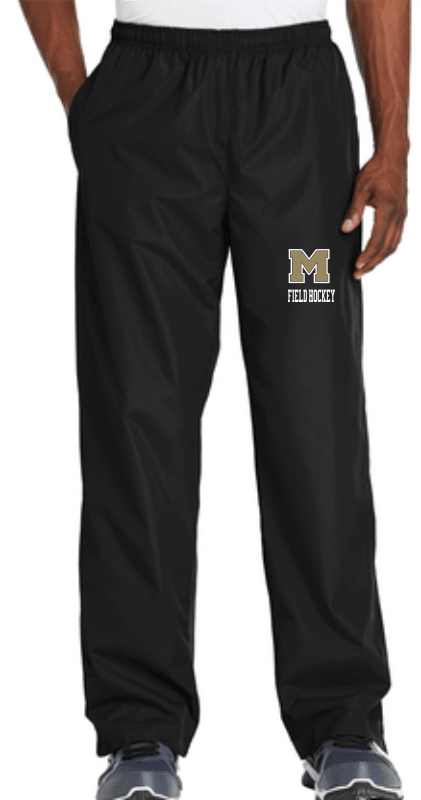 A Monticello Field Hockey Logo is embroidered on the left leg.